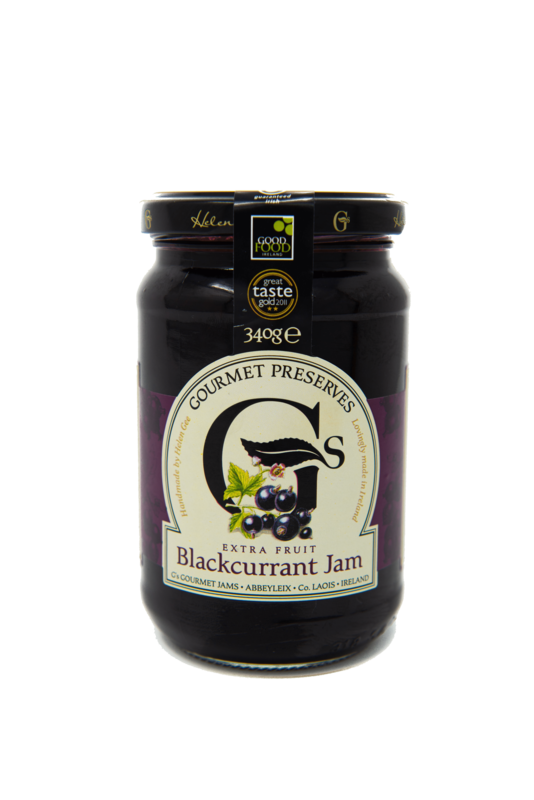 This Blackcurrant Jam is made of the finest quality of blackcurrants sourced locally from Irish fruit farms. This Irish homemade product is made of 100% pure and natural with no artificial flavourings, colourings or additives. It is gluten free and is suitable for vegetarians. The perfect accompaniment to a freshly baked warm scone or add a spoon or two to a cup of hot water in the winter as an ideal warm drink to keep those nasty colds & flus at bay!